In You’ll Be Sorry! Ann Howard honors grandmothers and mothers in a superb account of women’s participation in the Services during World War II, and their ensuing battle for equal opportunity that set the foundation for the Women’s Liberation Movement of the 70s. You’ll Be Sorry! 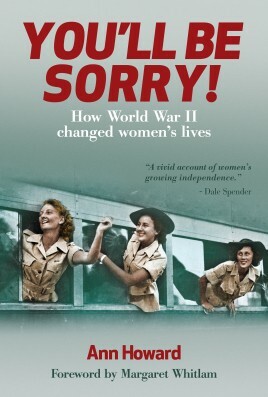 is an absorbing account of the experiences of women serving in the Australian Women’s Army Service, and other Services. Ann Howard captures the resistance and prejudice 66,000 women experienced as they left home to join the Services in WWll. 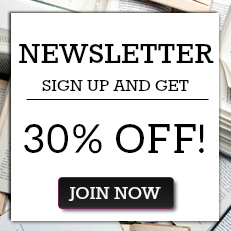 Their stories range across Australia and are recounted with unflagging honesty. Howard presents a vivid account of women’s growing confidence as they were given responsible positions, only to find there was no place for them outside the home after peace was declared. They returned to find the men had taken the jobs. There was a social expectation that they should return to their homes, have babies and carry on as before and care for the often traumatised returning men. Many of their stories are horrendous. This book is a result of previous material published in the 1990s, and still in great demand. Many of the wonderful women Howard interviewed are no longer with us, so these accounts are historically invaluable.